What’s the Definition of an Arena Shooting Game? It seems like it’s been a long time since we’ve seen a solid arena shooting game. The video game industry was blessed with games like Quake 3 and Unreal Tournament, which for many, were their first experience playing multiplayer. These two games were the biggest arena shooters. The last major title was Halo; although there’s a huge debate in the gaming world about this. It’s an opinion that’s literally split in the middle. Some gamers calling Halo a true arena shooter, and the other half saying it does not meet certain requirements. Time to Kill (TTK) and ADS (Aim Down Sight). But out of these requirements, the most important would be the type of maps. Arena shooters have “arena-type” maps, which is mostly are symmetrical and based on vantage points. Think Halo 2 multiplayer maps “Lockout” , “Midship” and “Ascension”. If a game has the above traits, it’s most likely an arena shooting game. 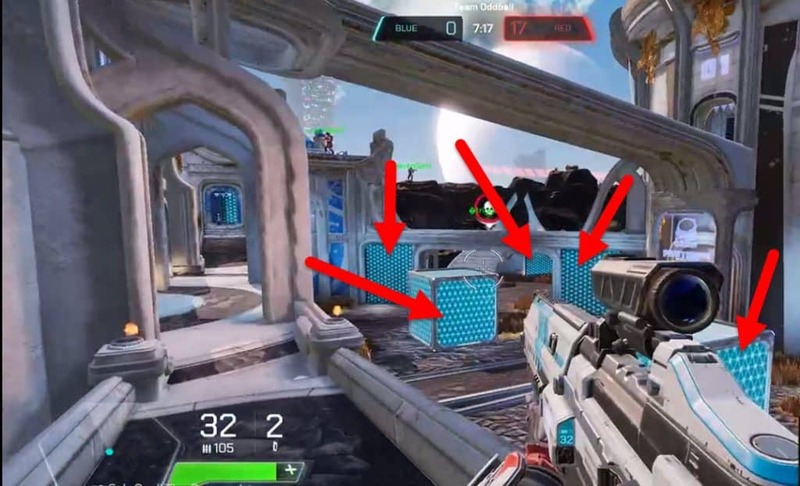 This is where Splitgate Arena Warfare comes in, as it ticks off all the items above. The new arena shooter was developed by 1047 Games. It was created in the Unreal Engine. 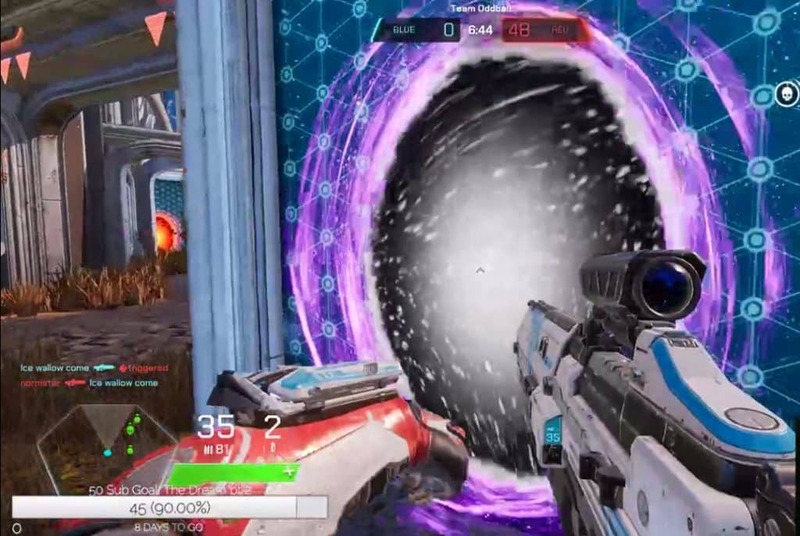 The difference between Splitgate Arena Warfare and other arena shooting games is the that players all carry a “portal gun”. On 1047 Games website, they write: “Halo Meets Portal“. Splitgate Arena Warfare has the traditional arena shooter layout. Each player’s load out consists of a primary/secondary weapon, as well a a portal gun. The portal gun allows players to move around the map through “portals”, adding a great depth of dynamics to the multiplayer stage. 1047 Games just recently shut down the beta testing of the game, taking all the feedback and fine-tuning certain aspects of the game in order to push it out this year. Here’s the trailer for the game. NEW video out NOW! Splitgate: Arena Warfare – HYPE ALPHA MONTAGE! On what platforms is the game set to launch? Currently, 1047 Games plans to launch on PC. But they do eventually want to release the game on console, and there are possibilities for simultaneous launch on PC and console. 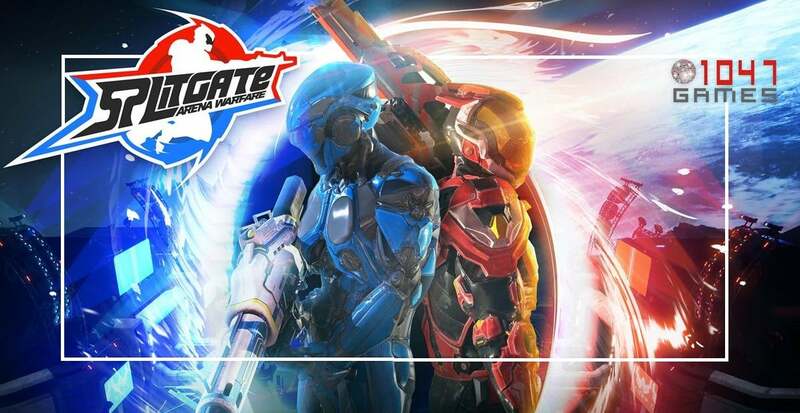 How much is Splitgate: Arena Warfare going to cost? Somewhere between $20-$30. When is the next playtest? 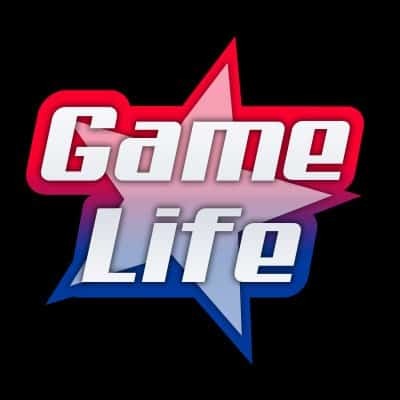 There are usually playtests every 4-6 weeks with major game updates in between. 1047 Games will also have small, shorter playtests every few weeks to test minor updates. These are your chances to try out the game, find bugs, and leave feedback to help 1047 Games create the best game possible. Can I stream/record footage? There is no NDA and you are encouraged to stream and share this game with your community and all your friends. Do I have access to the full game if I get a key? No, you will have to buy the full version once 1047 Games releases it. But members who participate in the alpha and beta stages will be granted special in game items. Do you have a weapons balance list? See below. Does Spitgate Arena Warfare have any social media accounts? Of course, and below are all the official accounts for the game. This unique addition to the game allows players to teleport around the map. Players can spawn two different portals. If an enemy is nearby, the player can use the portal and appear elsewhere instantly, catching him off guard. A nice addition to this is the fact that players are able to fire through portals. Players can use opponents portals as well. There’s one catch to using portals. 1047 Games made it so that the portals can only be created on a specific “blue-textured” surface, which are easily located within a map as they are everywhere. 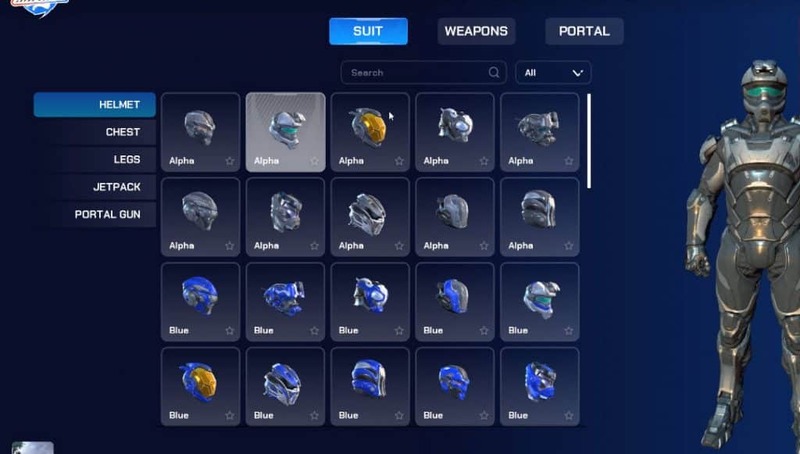 If the surface does not have a blue-texture, you cannot use your portal there. 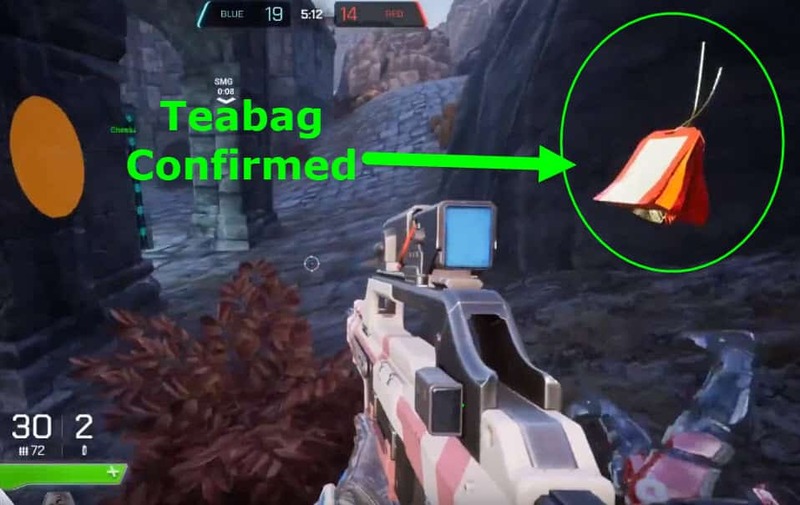 The one game mode that might sticks out like a sore thumb is Teabag confirmed. It’s a page taken out of the Call of Duty Kill Confirmed book. However, in this version, the name has a lot to do with how you collect the “tea bags” that hovers over an enemy’s body. In order to confirm or deny a kill, a player has to bend down twice on the body. Each map has specific locations for “Power Weapons“, which players will race to in order to gain advantage early on in a match. 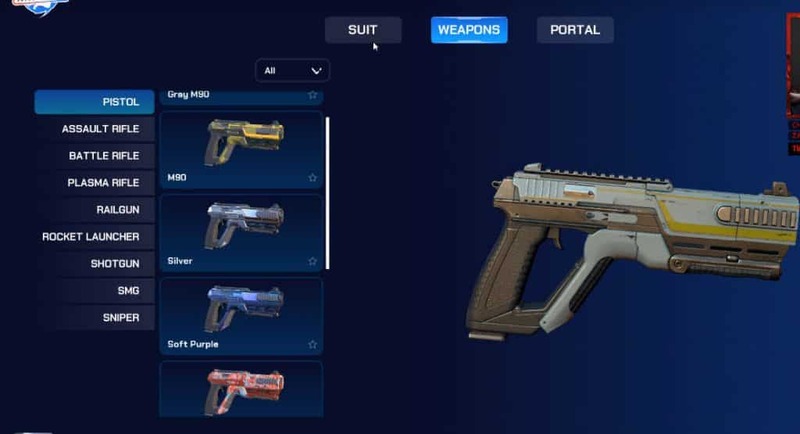 The power weapons consists of SMGs, RPGs, Battle Rifles, Sniper Rifles, Plasma Rifles and Shotguns. It’s great to see not just any typical arena shooter game, but an incredibly solid one.The old school game-play, mixed with new features reminds us of what Apex Legends brought to the battle royale world recently. A fresh take on arena shooters. Splitgate Arena Warfare added new elements like in-game scoreboards that showcase the top kill leaders in the game. Sound familiar Apex Legends fans? What we love about the game is that there are no perks and classes to be built. It’s combat right out of the gates. There’s also no traditional leaderboards based on points. The leaderboards are based on the win-loss ratio which takes the stress of trying to maximize points in matches and makes you focus on the main goal; winning games. This also encourages players to stay in-game as their ranking will be effected by leaving early. That’s definitely a plus. One thing we’re hoping to see is a simultaneous PC and console release. It will be painstakingly hard for console players to sit on the sidelines and watch PC players have all the fun. If 1047 Games will be able to figure this out, it will be a huge win for everyone.